A frame grab taken from footage released by Russia's Defence Ministry November 26, 2015, shows a Russian S-400 defense missile system deployed at Hmeymim airbase in Syria. RIYADH - Saudi Arabia has agreed to buy Russian S-400 surface-to-air missile systems, Saudi-owned al-Arabiya television reported on Thursday. The report came during a visit by Saudi King Salman to Moscow. The countries also signed a memorandum of understanding to help the kingdom in its efforts to develop its own military industries, a statement from state-owned Saudi Arabian Military Industries said. SAMI said the MoU with Russian state-owned arms exporter Rosoboronexport came in the context of contracts signed to procure the S-400, the Kornet-EM system, the TOS-1A, the AGS-30 and the Kalashnikov AK-103. It not specify the number of each system or the value of the procurement deal. It said the procurement was “based on the assurance of the Russian party to transfer the technology and localize the manufacturing and sustainment of these armament systems in the Kingdom”, but provided no timeframe. A number of deals have been signed during this week’s trip by King Salman to Russia, the first by a Saudi monarch. 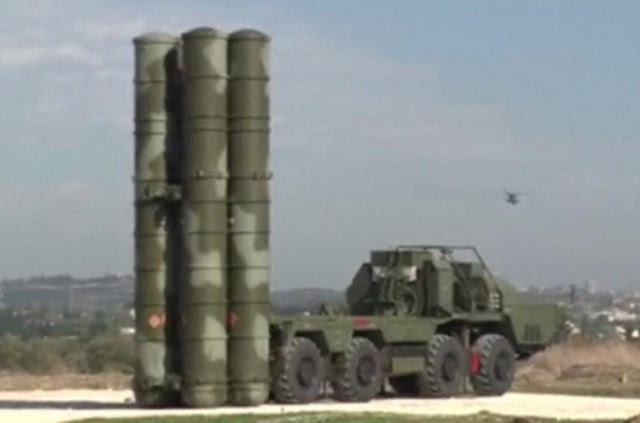 Saudi Arabia has agreed to buy Russian S-400 surface-to-air missile systems, Saudi-owned al-Arabiya television reported on Thursday. The report came during a visit by Saudi King Salman to Moscow.